OPTION 3 - casual hunting. These hunts are all guided . 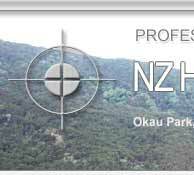 or just an evening hunt cost NZ$150 per hunter plus NZ$200 per deer. Both the day and overnight trip gives a 100% chance for a shot at a deer . The hunt can be based from either a small cabin at the coast or from the Roaring Stag hut. or cull type stags are from NZ$300 to NZ$1000 at our discretion . We have a chiller here to keep your deer till you leave . up to four hunters can hunt this option as a group.